← Seniors, your I.T. service and hardware options! Whenever a student or staff member come to us with an internet related problem one of the first questions we always ask is: “What browser and version are you using?”. Oftentimes, this is followed by a look of confusion. Five years ago there was not much reason for confusion since over 95% of users used Microsoft’s Internet Explorer (IE). That has changed dramatically. Mozilla’s Firefox which was originally launched in November of 2004 now is challenging Internet Explorer for dominance. Google’s Chrome browser is gaining on both of them. 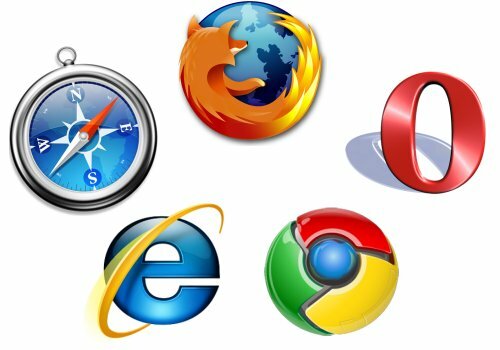 Which begs the question: “What browser should I use?”. The Mercy IT Department recommends the use of Mozilla Firefox for all school related use. Firefox’s proven security record, ease of use and it’s ability to play nice with Moodle and other Mercy network related applications make it the clear choice for your school work. We also encourage you to to visit the Firefox Add-on pages and browse and install some add-ons to enhance your browsing needs, but also be aware that some of these may slow down Firefox. Firefox will also run on Apple and Linux platforms. We also support Internet Explorer, but at the present time we do not support Google Chrome, Apple’s Safari, Opera or any other browser. This does not mean you cannot load and use these browsers on your tablet, but it does mean that if you come to us with an issue, the first thing we are going to tell you is to use Firefox or IE. This entry was posted in IT Dept. Policies, Tips and Tricks. Bookmark the permalink.